Rectangle 40g chocolate bar available in 3 flavours. MILK, PLAIN or WHITE available. 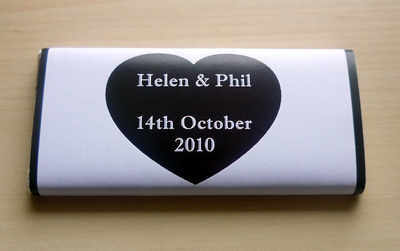 Your names and date of wedding can be added to the front in the black heart with a short message eg: "Thank you for sharing our special day" printed on the back.